What's going on for drivers in what J.P. Morgan Chase calls the "online platform economy"--think Uber and Lyft--is exactly the opposite of what is happening in the market for truck drivers. There are more of them. And their earnings are falling. That is one of the key conclusions of a report from the J.P. Morgan Chase Institute, created by the bank several years ago to produce research that draws heavily on the bank's vast database of financial transactions. The scope of the research that the Institute performed is enormous: it looked at 39 million Chase checking accounts over an almost six-year period between 2012 and 2018, and it looked at payments through 128 online platforms to 2.3 million families. Not all of those platforms were for transportation. But the Chase Institute found that more than half of all the payments it found were for transportation platforms like Uber and Lyft, and its summary of transportation platforms is the most intriguing part of the study. What's notable about the study is how infrequently many of what the Chase Institute calls "participants" actually get behind the wheel. According to the study, more than 58% of the participants had income from a transportation platform in a period of just one to three months. The figure on those who participated 10 to 12 months was 12.5%. And while the participation may not be that frequent, it apparently is enough to have helped send earnings plummeting. According to the Chase Institute, earnings from those participating in the transportation platform sector fell 53% between 2013 and 2017. "While freelance driving has been the engine of growth for the Online Platform Economy, it is not a full time job for most participants," the report said. "In fact, alongside the rapid growth in the number of drivers has come a steady decline in average monthly earnings." The drop is stark. In $2,013, the average monthly platform earnings for transportation was $1,469. It was down to $783 by 2017. There are different ways to interpret that, the Institute said. The drop could just be a function of the increase in the number of drivers. It could also reflect a "potential decline" in the number of hours that drivers are behind the wheel. The Chase Institute stressed that it sees only the final product--the payment--and not the whole story behind the amount of money flowing from one party to another. "However, other research provides some clues," the report said. 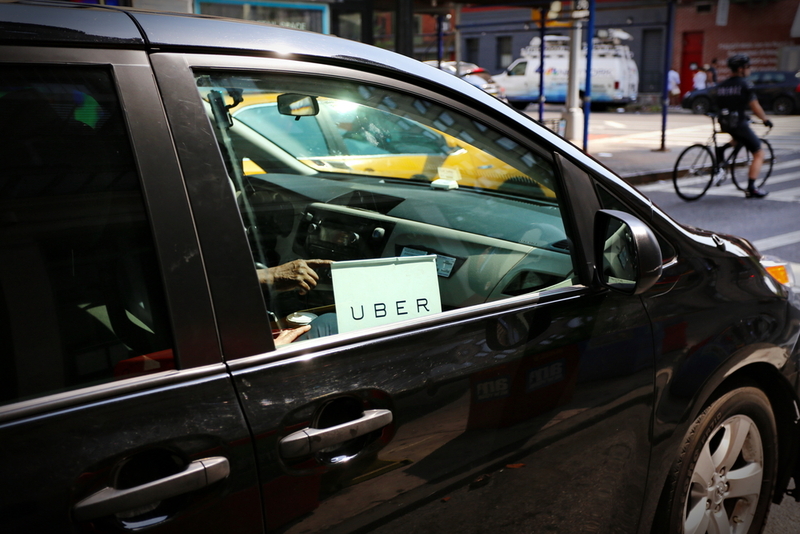 "Some calculations of hourly wages on a very large transportation platform—Uber—indicate that trip prices fell between 2014 and 2016, but the number of trips per hour increased, resulting in stable hourly wages." And in a country where the issue of "the 1%" has become so prominent, the Chase Institute identifies the 10% as being significant. In the transportation sector, 56.9% of platform earnings went to the top 10% of earners. For many drivers, they make a significant amount of their total earnings when they're active. (And obviously, when they're not active, they make nothing). "In the months when they are active, drivers rely on platform earnings for more than half of their total take-home income," the report said. The conclusion of the report is that maybe the so-called gig economy isn't all that it's supposed to be. It isn't the major source of income for many people, but it is a supplement form of it for plenty of them. "Whether or not the Online Platform Economy is capable of transforming work markets, consumers do not appear to be using it in a way that will usher in that transformation," the report said.